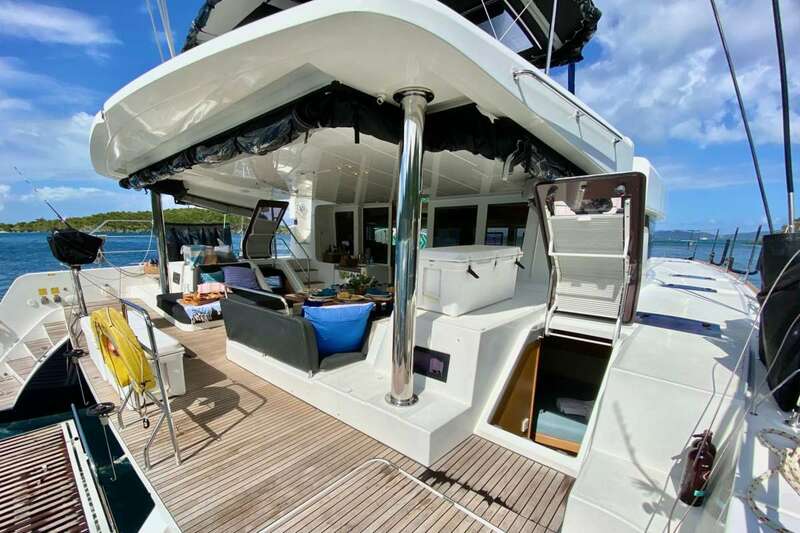 Catamaran Ventana is a 2017, 52' Lagoon catamaran offering crewed yacht charters in the Grenadines. 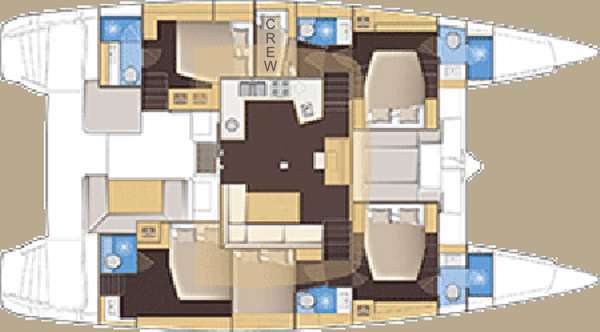 She features a fly-bridge deck, crew of 3, plus accommodations for up to 10 guests in 4 Queen cabins and 1 upper/lower Twin cabin. 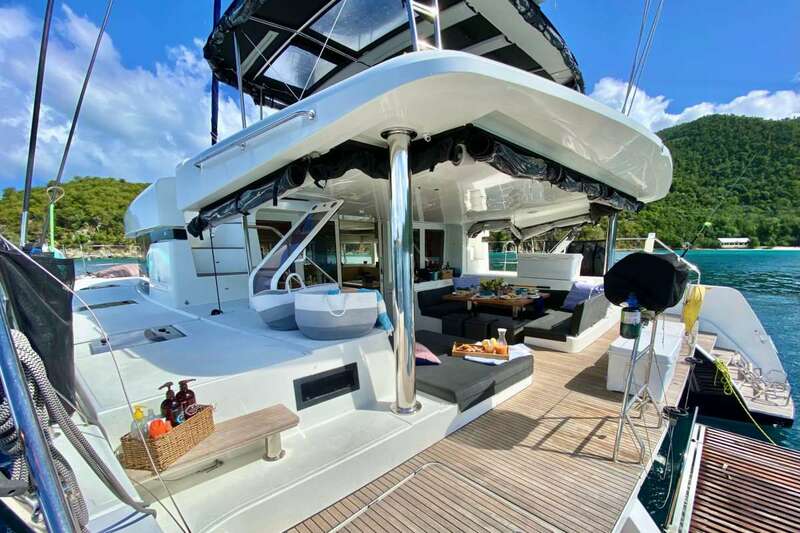 Catamaran Ventana is a Carefree Yacht Charters mid-range, luxury choice for families, couples or special occasions. Rates from $20,350 to $25,500. View availability, rate details and current Special Offer. To learn more about this crew or for further details about VENTANA, call us in our South Florida office at (954) 980-9281, toll free at (888) 670-6884 or fill out our Quick Request Form. ****S P E C I A L O F F E R S***** $20,000 for up to 10 guests for 7 nights. 6 night minimum (pro-rate). May NOT be combined with Fantastic Fun Package Offer. 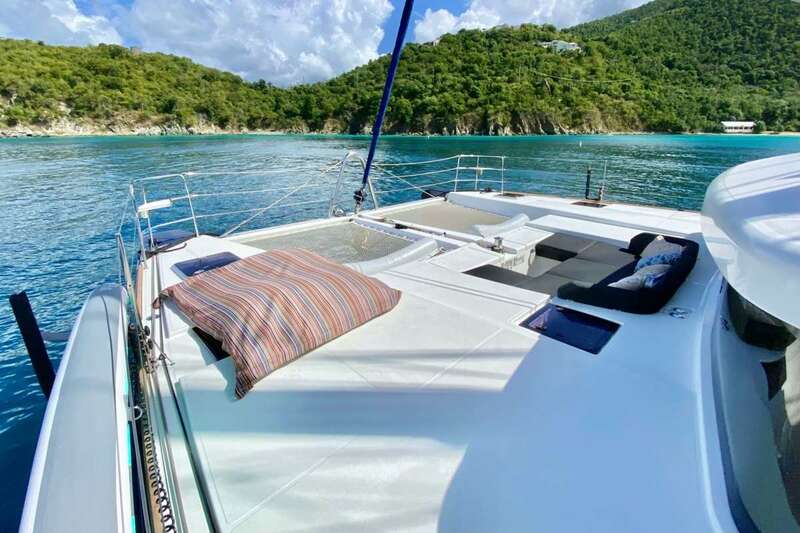 Book by May 31, 2019 and sail by July 07, 2019, in the Virgin Islands. 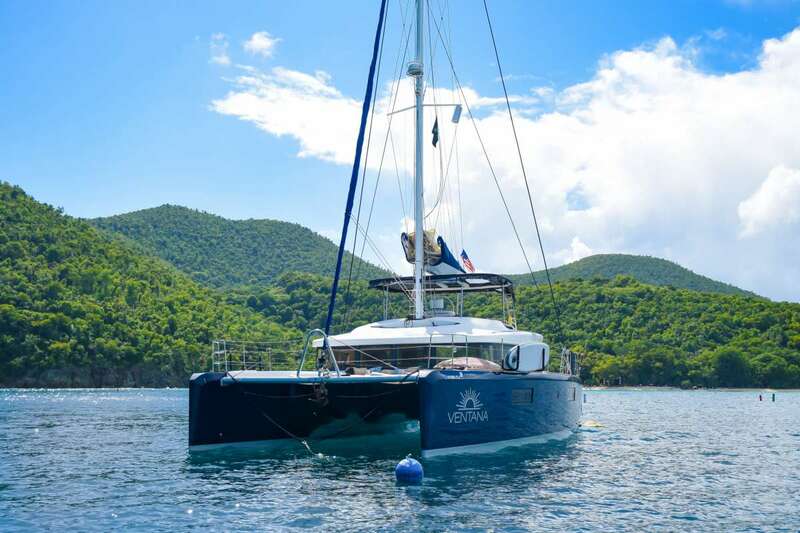 FANTASTIC NEW FUN PACKAGE OFFER FROM VENTANA.... Book by May 31, 2019 and sail by July 31, 2019, minimum 6 nights. Not valid for currently booked charters. May not be combined with any other special offer. • Ventana will pay for clients taxi ride from hotel or airport to and from the boat, one less thing to worry about. 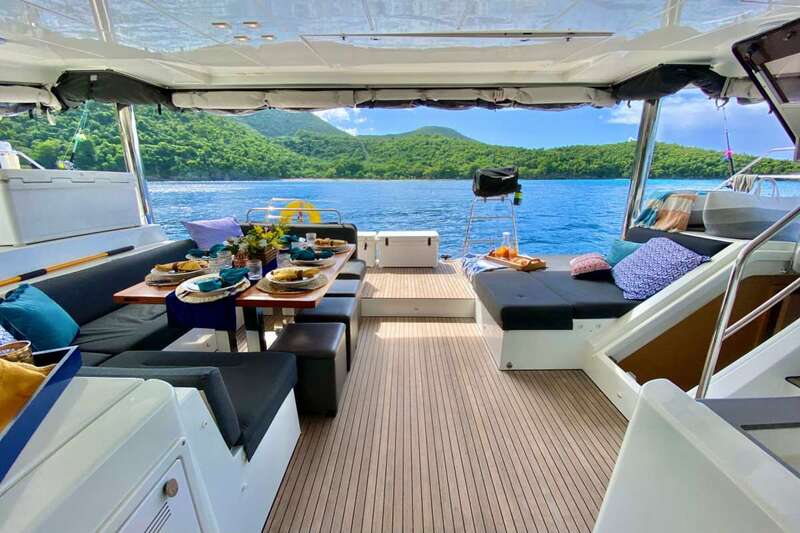 • Free sleep aboard the night before the charter In addition, pick any FOUR items from the following and the captain and crew will incorporate this into your awesome vacation. 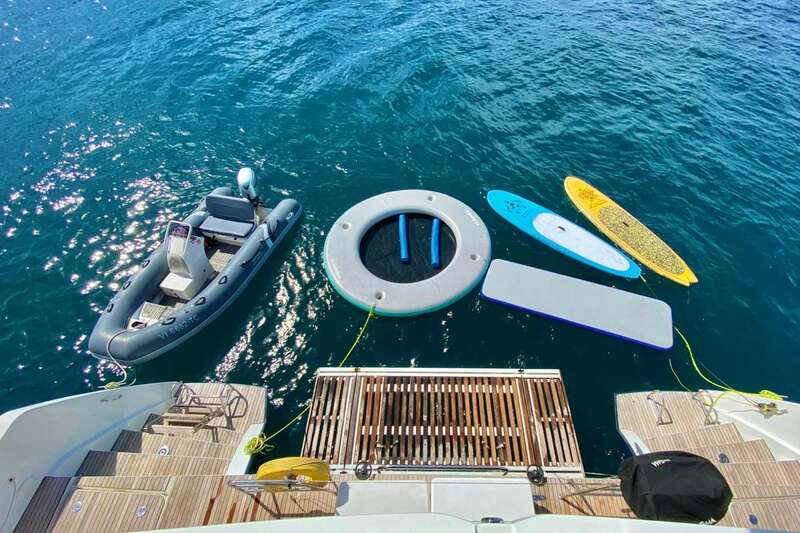 EXAMPLE: if clients select Parasailing, each guest who wishes can go Parasailing, but this counts as ONE of the FOUR choices for the entire group. 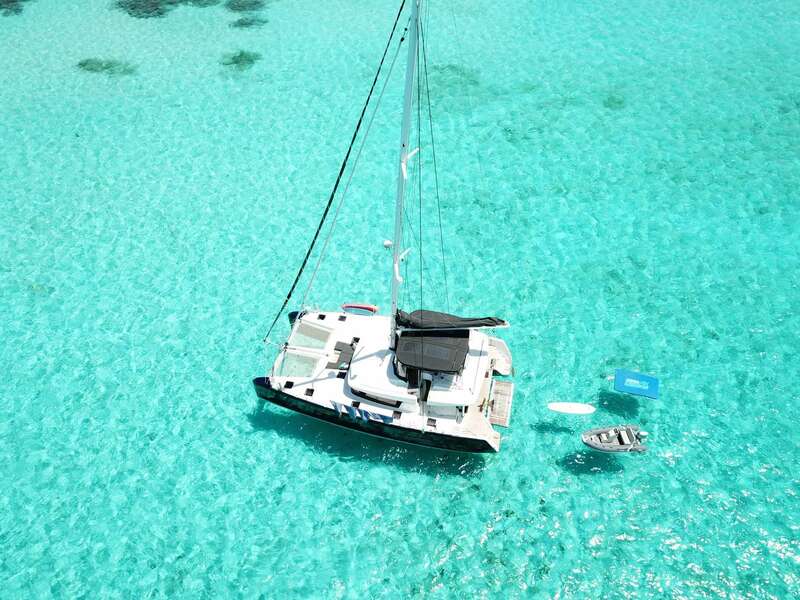 ST. THOMAS • Parasailing ST. JOHN • Jeep Tour of the Island to include: guide/driver, snorkel gear, beach chairs, cooler with bottled water and rum punch ANEGADA • Kelly’s Land and Sea tour Full Day 6-8 hrs Includes the Sea Tour, with the additional of a Land Tour with complimentary lunch. Which will consist of visiting the Anegada Rock Iguana, which is the rarest iguana in the world. Visit Faulkner Museum and stop at all beaches/bars on island. If Kelly is unavailable Captain Darrin will give you the land tour with lunch. 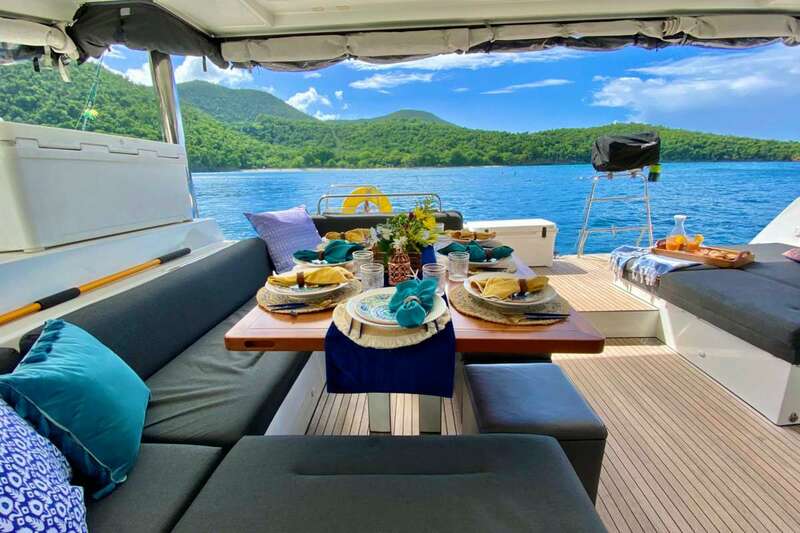 • Lobster dinner at one of the local restaurants, includes two cocktails per guest VIRGIN GORDA • Island tour via safari including The Baths with a round of drinks at the Top of the Baths pool and lunch at Hog Heaven (one entree per person, including two drinks each). • Jet ski rentals at Leverick Bay • One hour massage or body treatment at The Spa -- Leverick Bay, limit 5 people JOST VAN DYKE • Two rounds of painkillers at Soggy Dollar for everyone • Souvenir T-shirt from Soggy Dollar or Foxy’s for each guest . Captain Darrin Jackson is a third generation mariner. Born in St. Thomas and raised on a boat in the US and British Virgin Islands , Darrin took to the water at an early age. The family business of marine transportation, construction and salvage exposed him to the many aspects of professional life upon the seas. Eager to follow in his fathers footsteps he obtained his captains license at 19 and immediately began his career on the waters of the Caribbean ultimately captaining several vessels, including catamarans and a 75 ft Schooner. Darrin's passion for sailing led him to begin racing in regattas, he also enjoys surfing, free-diving, and spearfishing. He looks forward to showing you all the wonders of his "backyard"! Chef Julia Ray grew up in Michigan surrounded by the Great Lakes. She developed a love for boating and sailing on frequent family outings on Lake Huron and the many inland waterways that are abundant in Michigan. Julia was introduced to the Virgin Islands as a child on the first of many annual family vacations more than 30 years ago. Julia learned to cook and entertain while assisting family members during daily meal preparation and by assisting with catering numerous gatherings. Julia has also worked in the restaurant and hospitality industries. She holds degrees in both accounting and social work and although she had a successful career in the corporate world, she left it all behind in 2013 to realize her dream of living in the Virgin Islands. She has since been employed as mate and chef, sailing throughout the islands. 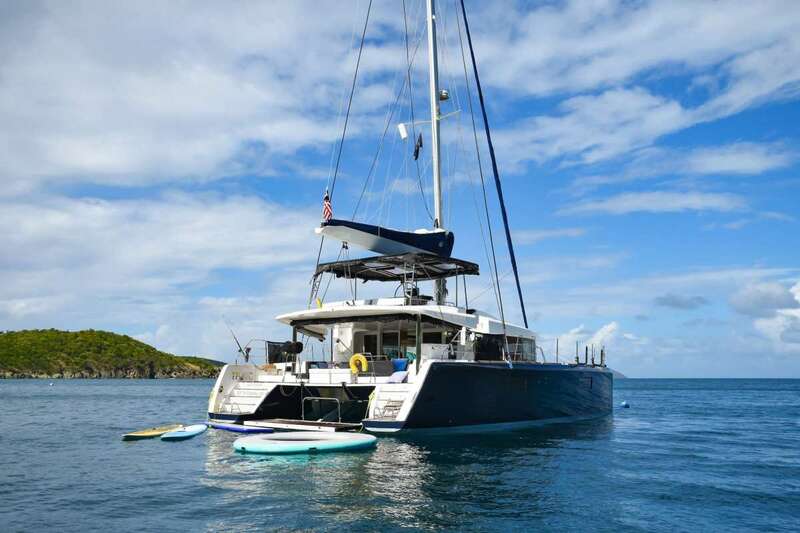 Energetic and personable, Julia loves to meet new people and share her enthusiasm for the islands while ensuring their comfort and safety aboard and in the water. She is certified in first aid, CPR and fire fighting. She spends much of her spare time in the kitchen, preparing and perfecting new recipes for friends and family to sample. Julia delights in spoiling guests with gourmet meals and tempting treats. She prepares a wide variety of meals and remains flexible in her meal planning to ensure the freshest and best quality food is offered to guests. Julia takes much pride in her ability to work with guests to accommodate special diets and food allergies and develop menus that will leave everyone satisfied! 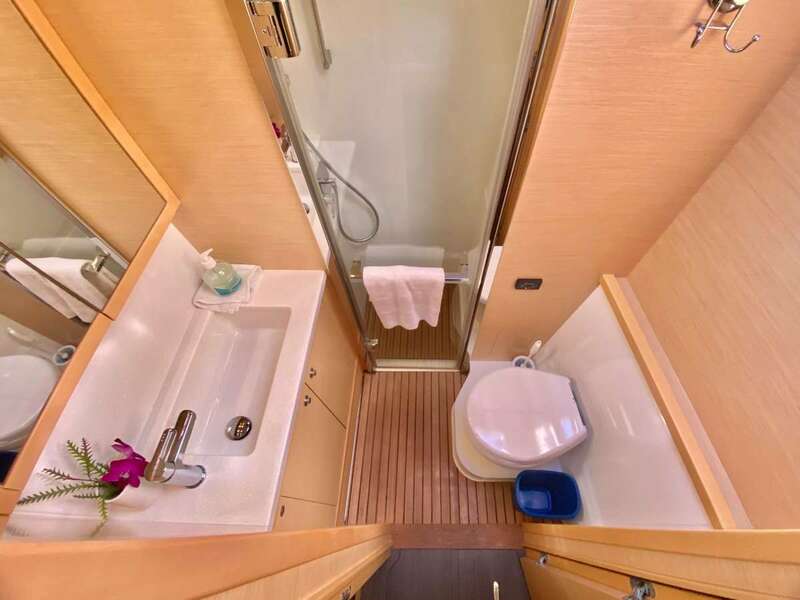 Cabins and boat offer wonderful natural lighting and great ventilation. 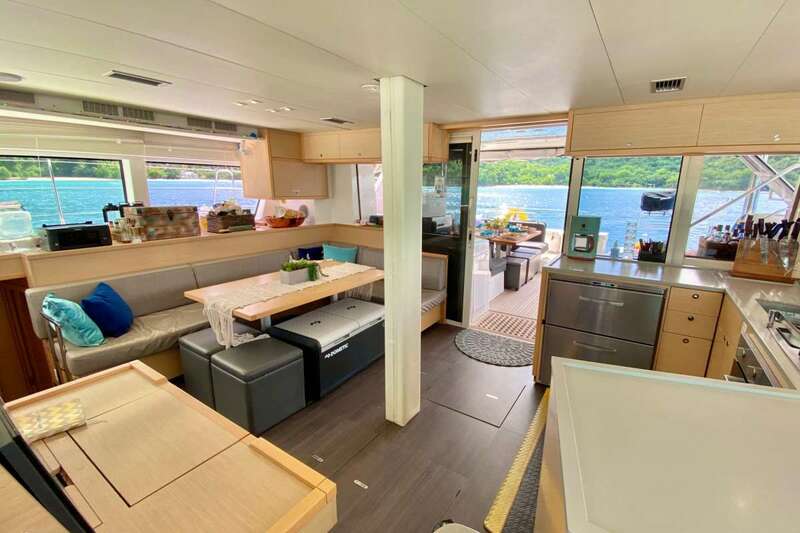 The boat is fully air-conditioned, and each cabin can adjust the air-conditioning individually for optimal guest comfort. 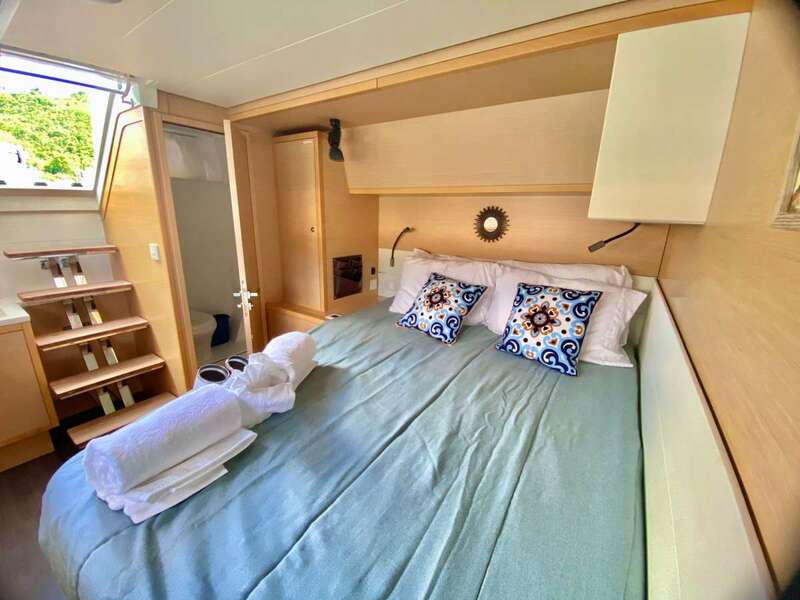 5 guest queen cabins each with private en-suite electric head, vanity and separate shower. 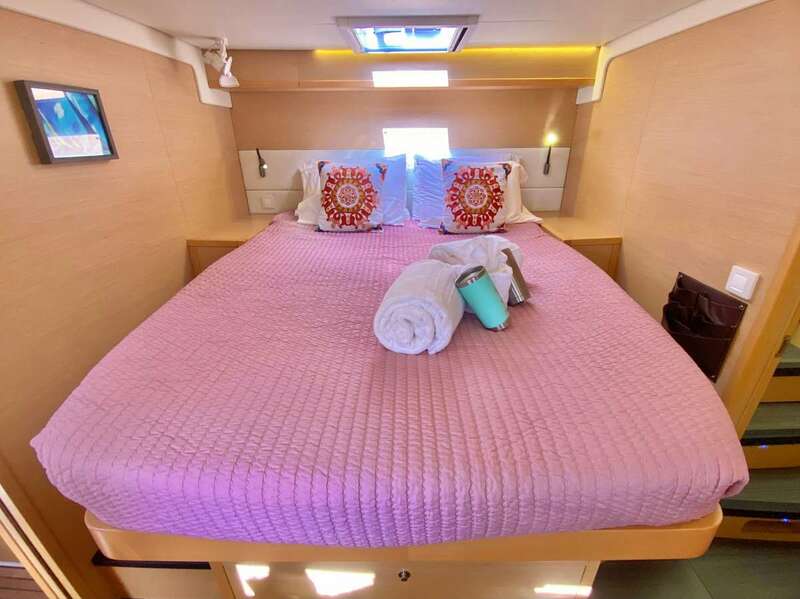 Crew have separate twin bunk cabin and private head. 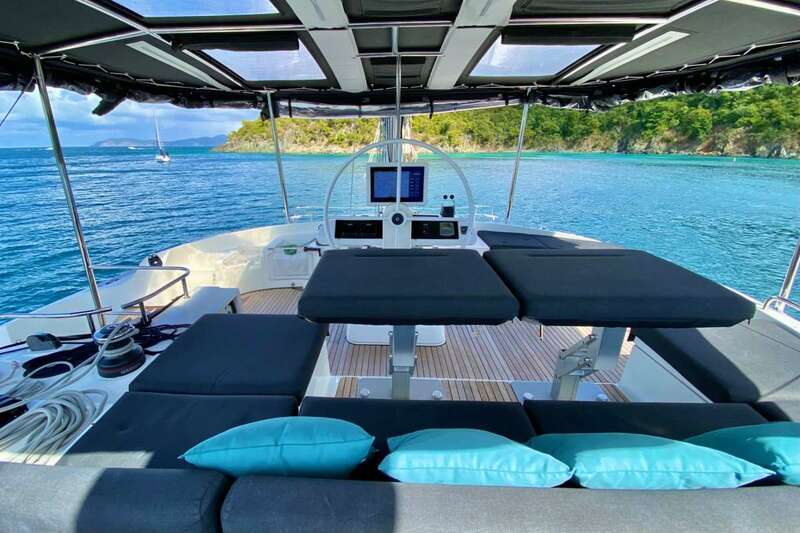 Entire yacht is full air-conditioned for client comfort. All heads are fresh water flush. 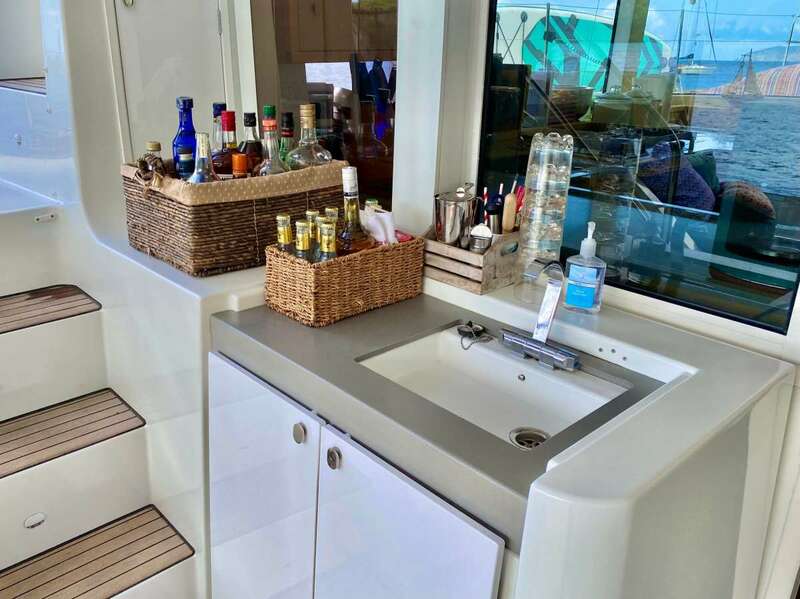 Salon offers lounge/formal dining area in addition to aft deck alfresco dining. 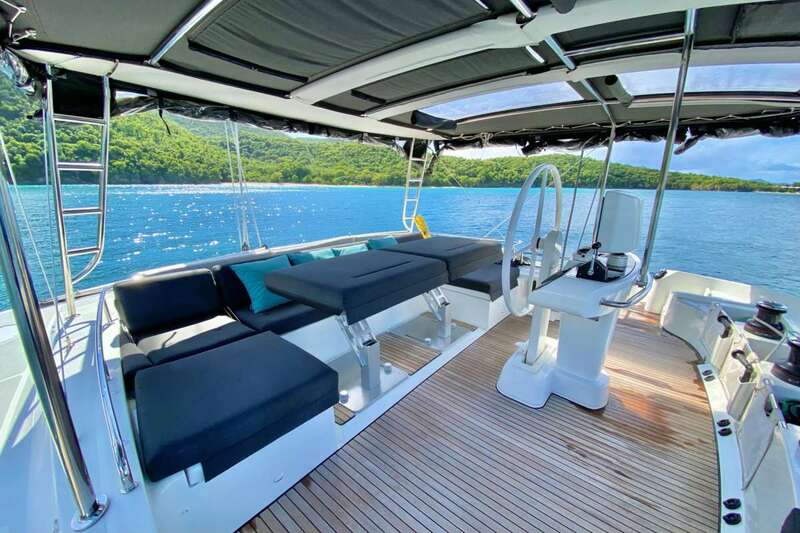 Top fly-bridge offers seating and lounge area with 360 degree view. There is also a lounge area forward behind the large trampolines. Onboard WiFi limited, no streaming please. Fresh fruit will be served each morning along with breakfast based on availability. Coffee, tea, juices, and milk are available each morning. Your choice of breakfast meat includes crispy bacon, link pork sausage or breakfast ham. Vegetarian options are also available. Chips, crackers, cookies, nuts, fresh fruit and vegetables with dip will be available throughout the afternoon. Each charter menu is custom designed based on guest preferences! The trip was FANTASTIC! You did a great job of keeping us informed of what we needed to do next. We were very happy working with you and would definitely use you again for future trips. Dawn Marie and Reilly were also amazing! They were both very professional, knowledgeable, made us feel safe at all times, and catered to every need we had. When we got to St Thomas, George discovered he had an abscessed tooth. Before we even boarded the boat, Dawn Marie spent the morning trying to get a hold of a dentist who could help us. It was a Saturday and during Carnival. She was working hard before we even became her actual on board guests. The boat itself is showing it's age a little, but since we weren't paying top dollar for a new boat, we found it to be very comfortable and very clean. Dawn Marie and Reilly are both incredible gourmet cooks and mixologists, and spoiled us rotten. I think the best food in the Caribbean has to be on their boat. Their passion for cooking was evident. We really enjoyed getting to try some of the local restaurants with our doing half board, but if we book with this crew again, we will do a full board. I wouldn't want to waste the chance to have a meal from them. It was fun having a female captain. She ran a well organized, professional ship, yet took the time to French braid my hair at night. She took care of all reservations we had for taxis, transportation, and reservations for meals out. Somehow she managed to always get us the best table in the restaurant. She was a great sailor, and gave us plenty of time under sail, but motored when we wanted to get somewhere faster. When we returned back to Dallas, life got back to reality and became very busy, very quickly. This is the first chance I've had to sit down and write to you. The only way to describe the trip is amazing! Dawn Marie and Riley were truly the perfect combination to having a great time. They really did meet our every need. The food was amazing! These two really know how to cook. If I have any comment; there was too much food! I don't know if that's a bad thing or not. 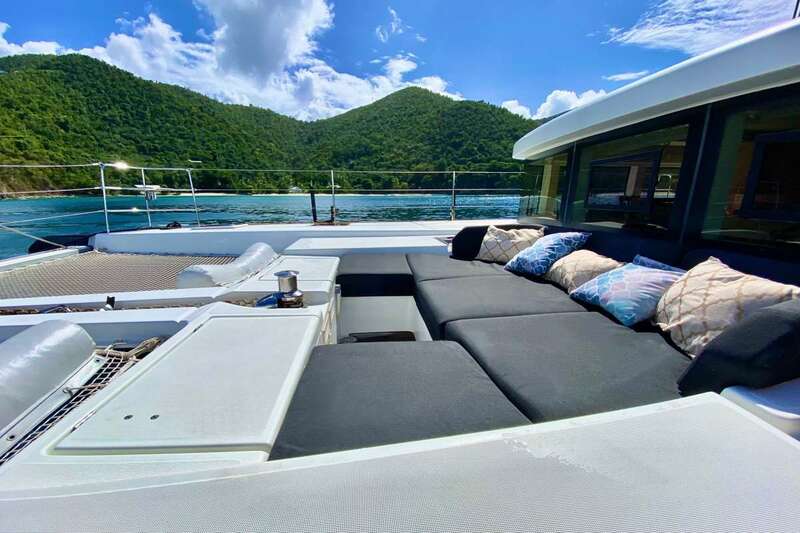 In the future, we will definitely use Carefree Yacht Charters and Dawn Marie (if we can afford her; she's purchasing a 52').